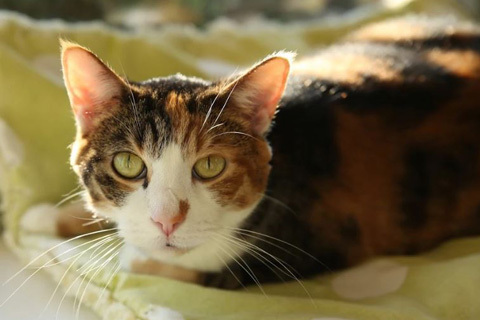 Penelope is a beautiful 8 year old Calico. 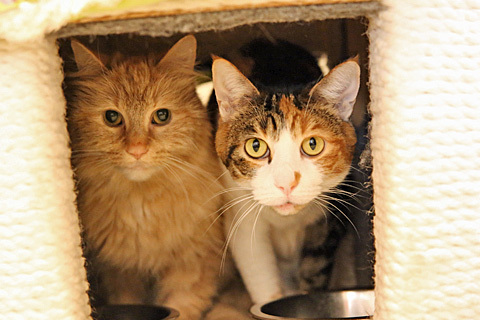 She loves her companion Princess Diana and they are required to find their forever home together. Penelope loves laser pointers and wand toys. Penelope is looking for a quite home where she can relax and settle in. She's a little fearful so she's looking for a family with adults only that can give her the time she needs to warm up to her new environment.